Moorhouse was set up in 2013 by Thomas Moorhouse as a business to provide a suite of music services to individuals, organisations and businesses. Tom offers a professional, friendly and flexible service in the areas of <DJ, Wedding, Party and Event Music>, <Music and Guitar Lessons>, and <Music Production/Recording Studio>. Based in Waterford City, but covering the surrounding counties of the South and South-East of Ireland (Wexford, Carlow, Kilkenny, Tipperary, Wicklow, Kildare, Laois, Limerick, Cork and Dublin), Tom is flexible and will travel to you to provide music for events. Music lessons are provided in Waterford and Enniscorthy. Music production is based around the studio in Waterford but if that is too far for you to travel to, get in touch to talk about our mobile recording service. Tom is an experienced DJ/Producer and Music Teacher who has been working in music for over 10 years. After completing a Diploma in Music Technology, Tom knew he wanted to work in the music industry but being a notoriously difficult industry to break into, Tom took matters into his own hands and began working freelance and gaining experience. With all those years of work behind him, Tom is highly respected and recommended among peers, clients and associates and has established himself as a professional music contact for music industry professionals. Tom has worked with a number of artists to record material including Barry Darcy, Karen Coss and Suzanne Carroll AKA Suzic. He also works in the area of music therapy and is commissioned by the HSE to provide music therapy classes to Link Training and Support Services, and W.A.V.E. 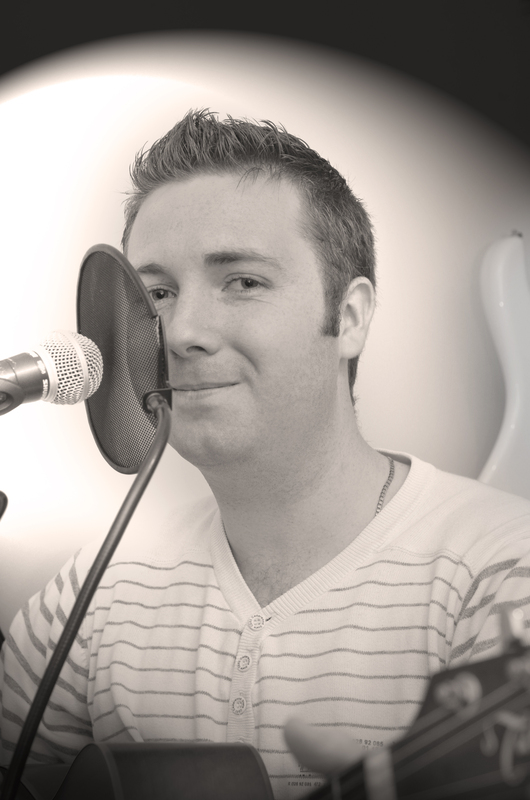 Tom has performed in many clubs and hotels around the South-East and provided music for numerous weddings, in some of Ireland’s top venues. To view some of his past and current clients, click <here: http://www.moorhouse.ie/clients>.